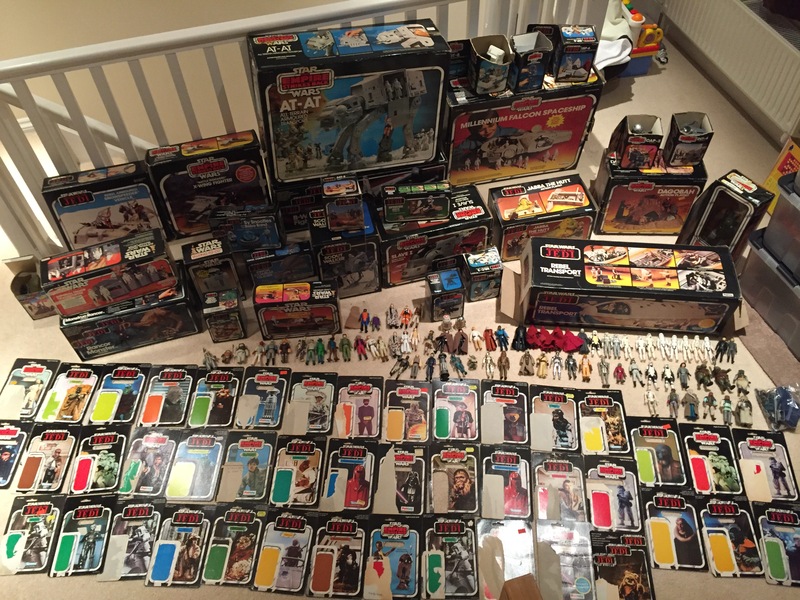 I have recently dug out my childhood collection from the loft. Got more than I remember! Most if not all figures have their weapons etc. and most of the vehicles are in good condition and complete. The AT-AT being the best with no discolouration and stickers not used. Looking to possibly sell the collection depending on value. Would it be better to sell as one lot or separately? Is the only choice to sell on Ebay? Welcome to the forum. Wow that is some collection you have there, these are my favourite threads My first advice would be don't rush in to anything. 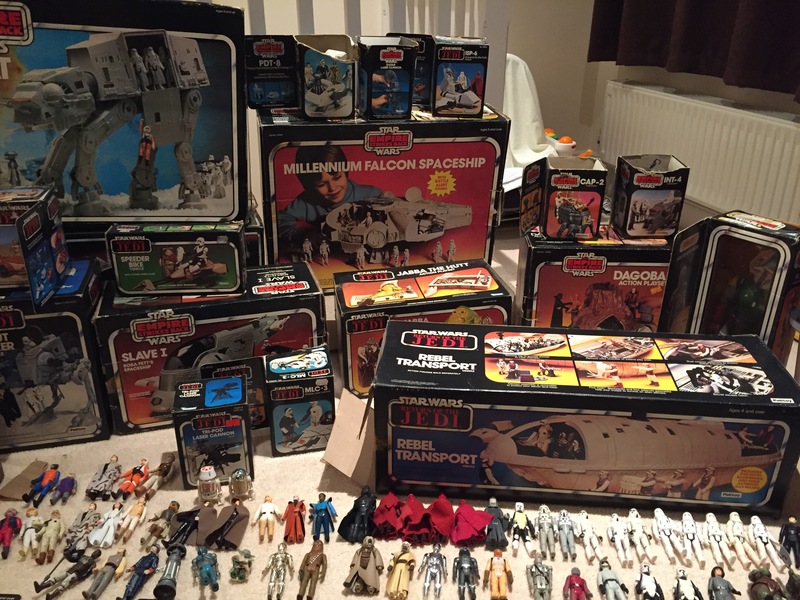 Star Wars collecting is pretty crazy and the tiniest variation in a figure can be the difference between £5 and £500, so it would be worth taking close up photos of everything to get an accurate valuation. It's very hard to value just from the photos you've shown, but you're definitely talking £1000+. Then, you will certainly make more money selling individually, but it is a LOT of work. Generally resellers/dealers will pay around 40% value for a large collection like yours, so that gives you an idea of how much effort you'll have to put in to make the extra 60% profit. Good luck and I hope you offer it all for sale here when you're ready! I you want to maximise your "return" selling everything individually is the way to go but, like Edd says, this takes a lot of time and effort. Add the fact that if you are not up on current variations and values you will have your work cut out in figuring out those individual values before you can even put them up for sale. Selling on ebay is one way to go but obviously sellers fees will make a dent on your takings as well as a lot of trips to the post office. Be prepared for idiots, time wasters and scammers too. Also, as Edd says though, you won't get full market value selling as one lot. A quick totting up based on your photos and, assuming the condition of everything is good + and 100% complete, I would say overall value would be around £1500. You might have a rarer variant of a figure which may push that value up by a little or a lot. If sold individually and assuming that everything is complete and in good condition then I’d say you have £1500 or so in boxed items and card backs. Figures and weapons would be on top of that. 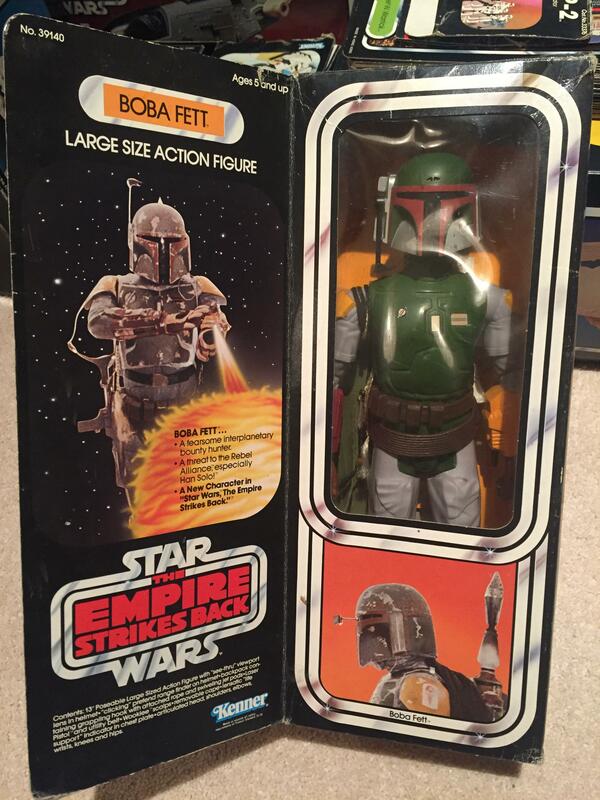 The boxed Fett could add even more if it has Palitoy stickers on. 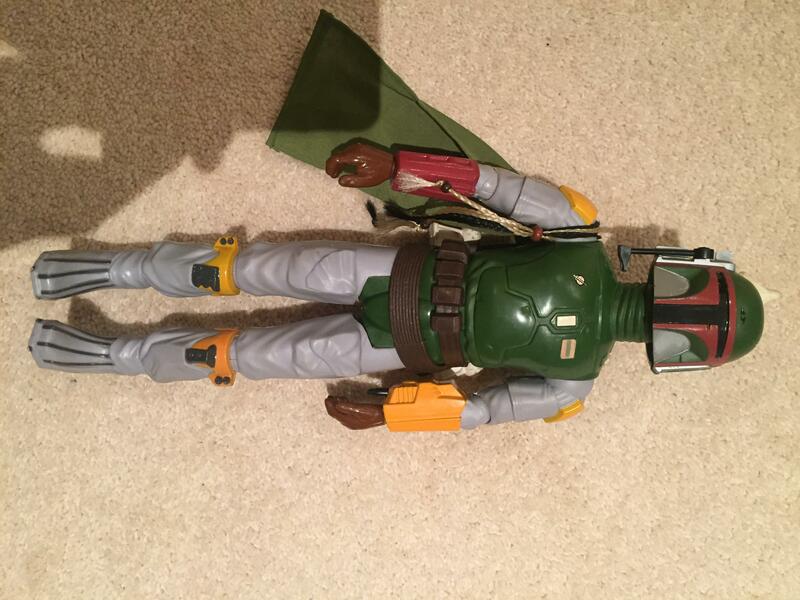 lejackal wrote: The boxed Fett could add even more if it has Palitoy stickers on. This is the kind of detail you need to look in to, even the small difference like a sticker or paint colour can have a massive impact on price. Definitely worth getting an expert to look over everything. Wow, nice collection. Make sure you really want to sell it before letting it go. We’ve had a few guys come on here and sell it, and straight away regret it. Some havebgot the bug and gone on to start collecting again, and even one fella who started buying back his old collection! 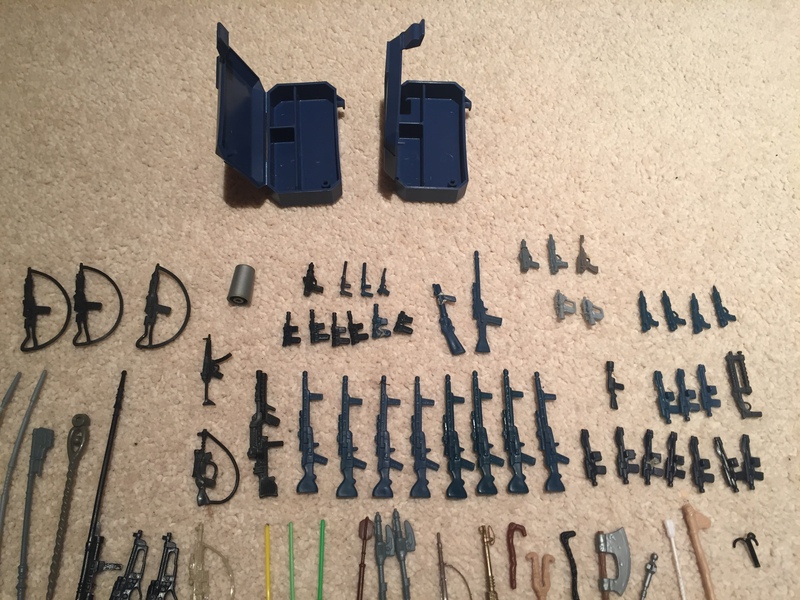 If you do sell, see if you can find all the old weapons as they will add significant value to your loose collection. All advice given so far is spot on, you've done the right thing coming here to start with as we can help you identify the cherries in what is an awesome collection. 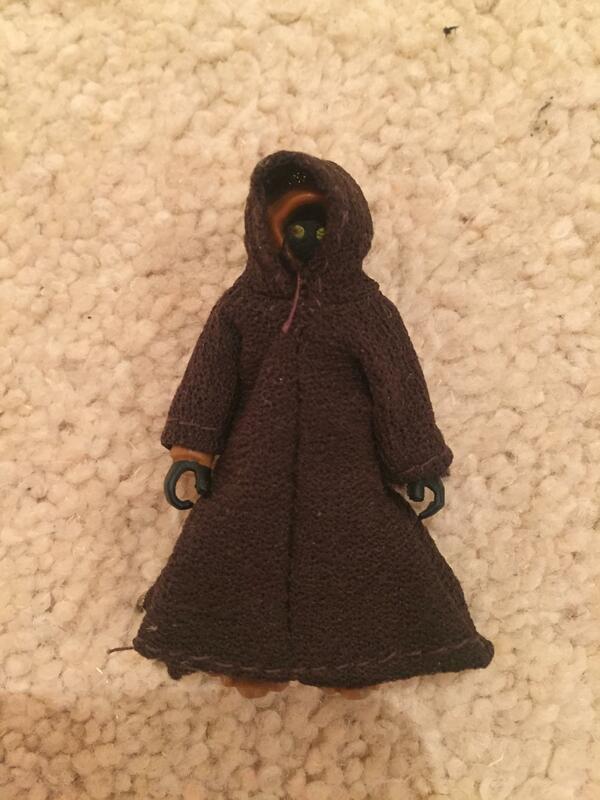 Can we see some pore pics of the Fett doll and box please? 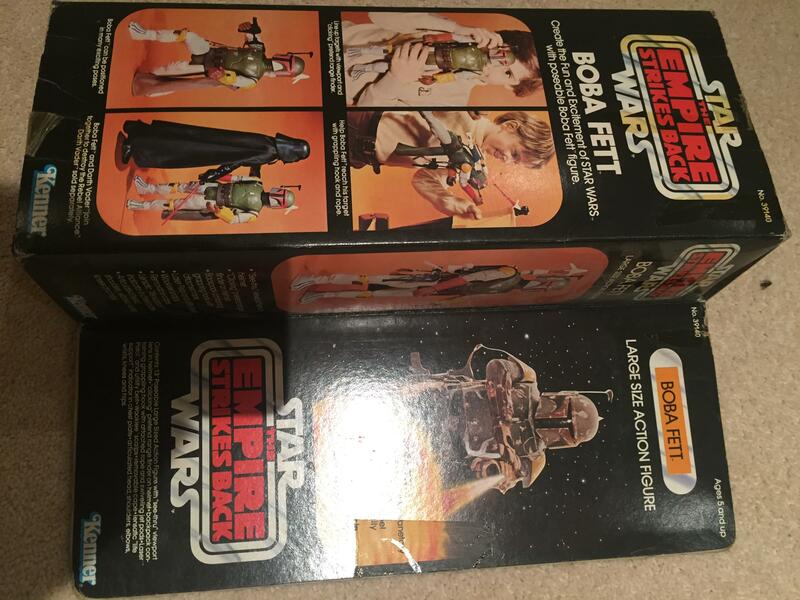 As Carl states, if that has a Palitoy sticker - or even a UK price label - that will greatly determine value. You'll get a LOT of people after this and my advice is sell on the forum or Facebook as you'll have no ebay fees to pay - 100% going in your pocket. It's more work to sell individually but more money for you - but if you want to sell as a whole then expect a lower amount. 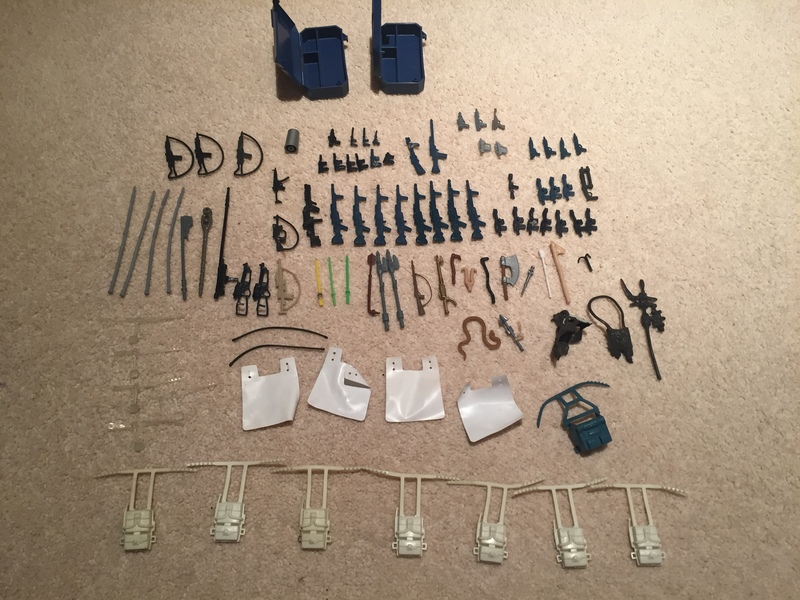 I can't give a valuation, but that is one great collection. 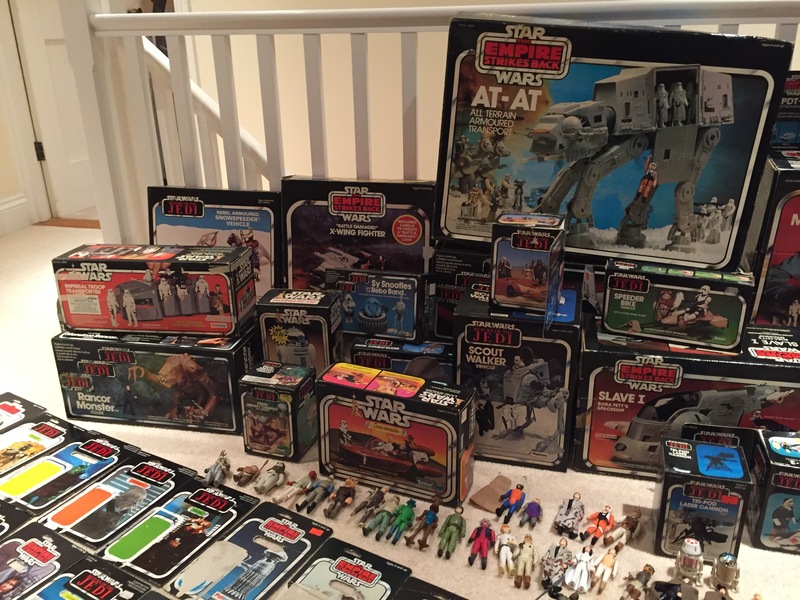 I remember discovering my childhood figures and vehicles in the loft. I can only echo what has been said above. Make sure that you really want to sell. If so, then take closer photos, in focus, good lighting. Sell on here or Facebook groups. I would probably avoid ebay. Don't rush and accept the first offer. You have likely received offers already, but dont rush. Get some better photos and the lads here will be able to give better valuations. Nice discovery echo all said here already be really sure if you want to part with it all.. Maybe keep a couple of bits as once it's gone.... Individual selling earns the cash but knowledge is key the guys here are great on helping with that!! 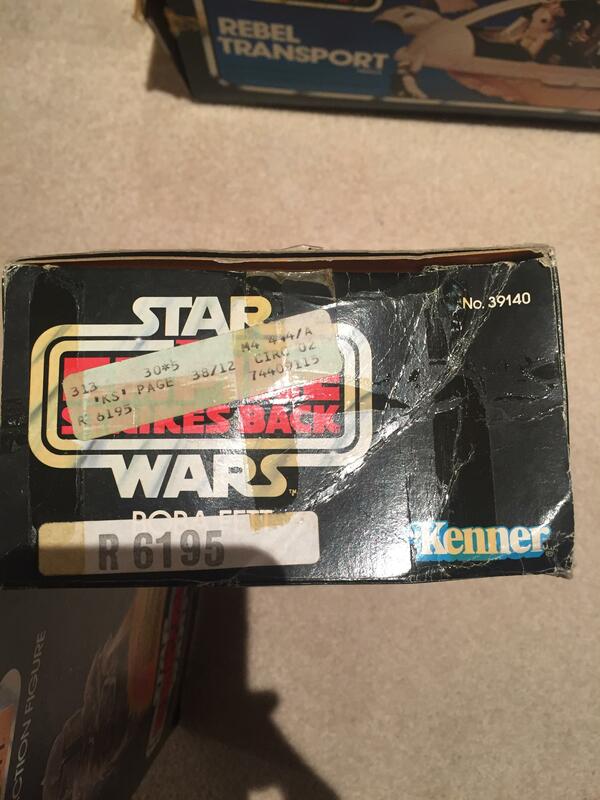 Just looking again and am amazed you kept the boxes in such immaculate condition. We would of thrown all boxes away in my house and anything that survived would have been trashed beyond belief. Well done sir. Great advice from you all. I was thinking definitely sell, but since I've been looking on here the last couple of days I'm finding myself doubting if I want to after all. Been looking at some great collections you guys have. If I wanted to get an expert to look at them how would I go about it? How do you go about getting pieces graded? 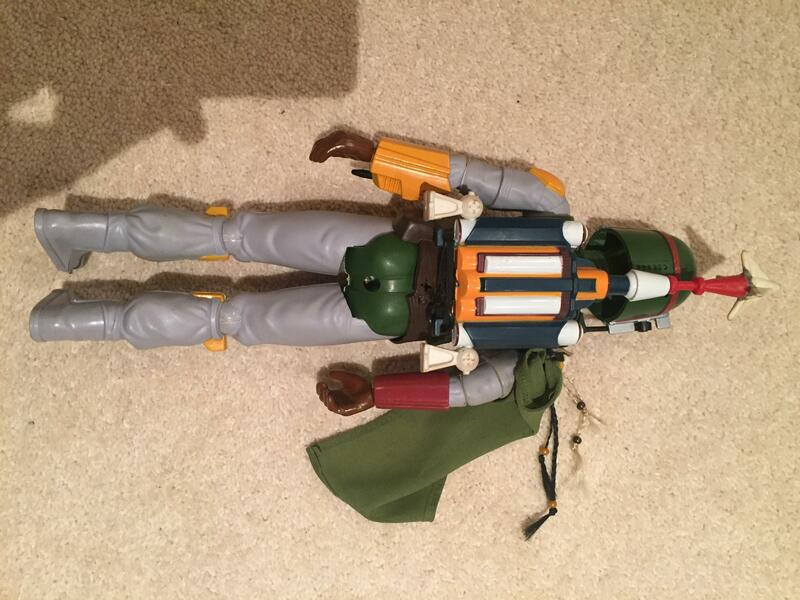 I've taken some more pictures of the Large Fett and all weapons Etc that I have found so far, annoyingly large Fett has his gun missing but I am optimistic I will find it when I get back into the loft at the weekend! Also found this little fella hiding in a box! I'm not an expwrt on grading, not into it, but not really sure it would be worth your trouble. The figures are play worn, as are the vehicles. You cpuld get good prices for the vehicles, assuming they are sound, because most of the boxes are in very good order. That Landspeeder looks like it came off tje shelf yesterday. Pair the weapons up with the figures. Photos front and back and markings on the leg. Paint rub and stiffness of limbs, discolouring, general wear and tear pays a part in price. Be aware of variants, out of my league. Photos of cardbacks. Front and back. 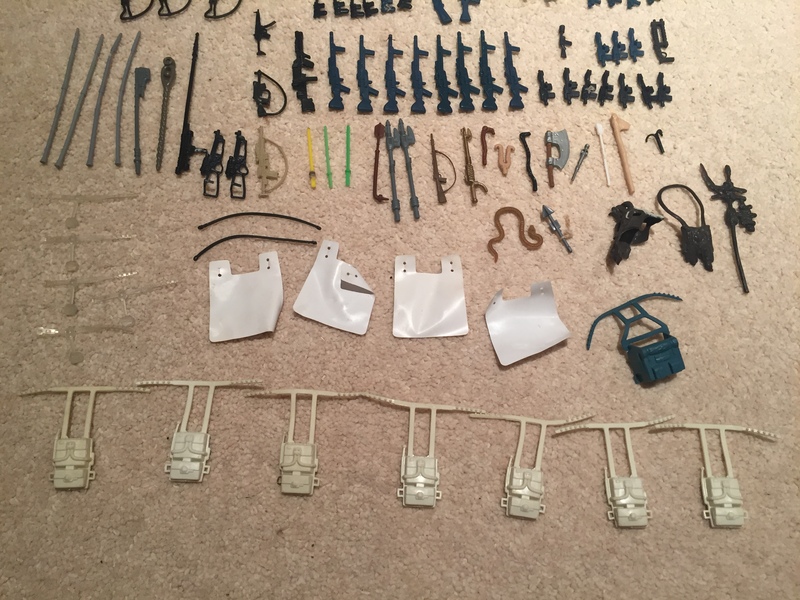 Photos of vehicles, all parts, carboard inserts and sticker sheets. Search ebay for complete figure listings. People here can help but it is a lot of work, very time consuming. But, if you decide on selling, it is important to take good photos to get the best assessment possible to get the best price. As once it’s gone it’s gone! If you do choose to sell, my advice would be to take it slowly and research one item at a time so you understand what your selling. It’s been in your loft for years, another year won’t matter surly? If you can let us know roughly where you are, we can probably recommend a local trusted collector or dealer you could meet up with who could help you value it all perhaps in exchange for first dibs on buying when you sell. I think that would be far easier and quicker than taking hundreds of photos. peter_cook2 wrote: Thanks for all the replies.